There could be a number of reasons why you are having a hard time falling asleep at night. Some of the reasons could be an argument with a loved one, bills that need to be paid, a project presentation at work and many more. If you are having trouble falling asleep for the past few days, you might be experiencing acute insomnia. This can be corrected easily by making a few changes on your sleeping habits. This article will help you kick those sleepless nights away. According to studies, it is best to sleep naked. This will help your body regulate its temperature. Having a comfortable temperature will help you sleep better. Always have a blanket by your side just in case you get too cold in the middle of the night. If you are still having trouble falling asleep, cover your feet because cold feet will keep you awake. If you feel uncomfortable sleeping naked, wear comfortable clothes like pajamas made of cotton. Using the right pillow is very important to get a good sleep. As long as your pillow fully supports your head and neck and you are comfortable at your chosen sleeping position, then this pillow is perfect for you. Do not use a pillow that is too thin because this will make your head tilt backwards leaving you a stiff neck in the morning. Piling up pillows too high is also not recommended. Besides, put a pillow between your legs to support your hip if you are sleeping on your side. If you are not comfortable sleeping in total darkness, you can make use of a lamp with dim light or simply reduce the lights in your room. Besides, put heavy curtains on your room to lessen the light that comes into your room and to help your body clock adjust. Too much light during your bedtime can cause you to have trouble falling asleep. This is because bright light gives your body clock a signal that it’s time to wake up. You may also try wearing an eye mask and stop using your gadgets two hours before your sleeping time. Noise will definitely keep you from falling asleep at night. Play gentle music for an hour when you go to bed, which will not only cover the unwanted noise in your room but also can help you relax. Just make sure that the music will not change in dynamics because loud and upbeat music will wake you up. Don’t forget to turn your phone off so that you won’t get disturbed by incoming calls and text messages. Eating right should not only be during dinner, but dinner plays a significant role in either helping you sleep better or giving you trouble falling asleep. Have your dinner at least three hours before bedtime and avoid eating too much. Sleeping on an empty stomach can also keep you awake. Eat a light meal if you feel your stomach grumbling at night. Eat high protein foods because they contain tryptophan which helps the body produce serotonin, a hormone which will help you relax. Caffeine can be found on coffee, tea, sodas, energy drinks and some medicines. It is a substance that will keep your mind active and awake. Its effects can last up to twelve hours, which means it can still affect your sleep even if you took it earlier in the day. Alcohol can also affect the quality of your sleep. It will make you feel sleepy but only provide shallow sleep, making you feel tired in the morning. Experts recommend drinking a warm glass of milk during bedtime if you are having trouble falling asleep. Other warm beverages will also do the trick as long as there is no caffeine added. It is also recommended not to drink water or other fluids an hour before you sleep because this can make you want to pee at night and disrupt your sleep. It is still, however, important to drink at least two liters of water every day. Your body has its own biological clock and sticking to a wake and sleep routine will help it adjust and get used to it. Do this by sleeping and waking up at the same time every day even if it is a weekend or a rest day. Close your eyes and lie down comfortably, if within fifteen minutes you are still having trouble falling asleep, get up and do something that will help you relax and then go back to bed. 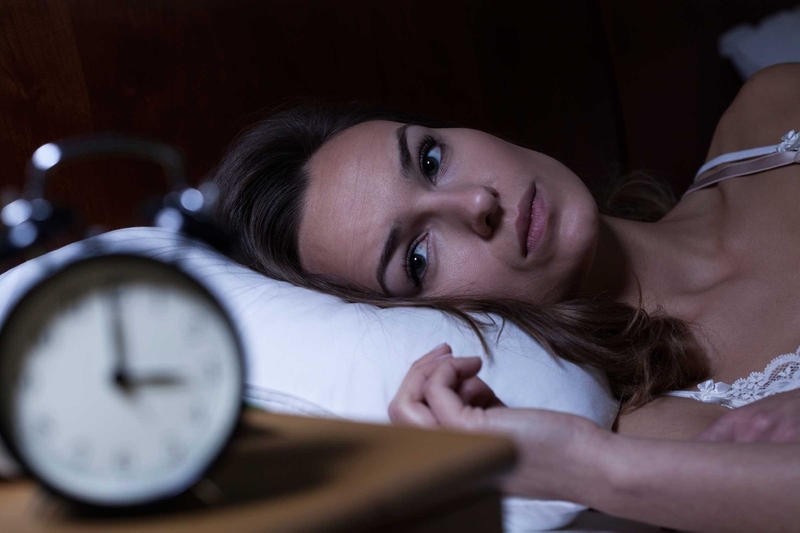 This will help your body clock determine that it is time to go to bed. Make a bedtime ritual like having a warm, relaxing shower, reading a book or listening to soothing music and then start putting the lights off or put them to dim. Doing relaxing things can make you sleep better because it eases the transition from wakefulness to drowsiness. Studies also suggest that too much exposure to electronic devices can also cause acute insomnia. If you are working in a graveyard shift, then you are an exemption. Sleeping too much during the day can disturb your body clock and make you experience some trouble falling asleep during night. Limit your afternoon naps from ten to thirty minutes which is already sufficient to help you energize and keep going throughout the day. Stress is one of the key factors for sleeplessness. Learn to manage your stress to keep it from disrupting your sleep. First things first, organize the things you need to be done, know your priorities and learn how to delegate tasks. Have a time out from work if needed and nothing beats a good laugh with an old friend. Having peace of mind will not only make you sleep better but it will also make you happier. You don’t have to slave at the gym just to make yourself feel tired and think that will make you sleep faster. Simple and low impact exercises can help your body produce hormones which are important in having a good and deep sleep, solving your issue of trouble falling asleep. But avoid exercising too close to your bedtime because this will only keep you awake. Do your exercises earlier or make sure to finish them at least three hours before you go to bed.